Ion installed a wide span of glass screening between the leisure area and swimming pool. Batts Hall is an individual luxury new build residence in a green belt location, designed and constructed to exacting standards. Ion Glass were commissioned by Janes Architectural to undertake a bespoke glass installation to enhance the spa area and introduce light and space to the walkway linking the garage to the main property. 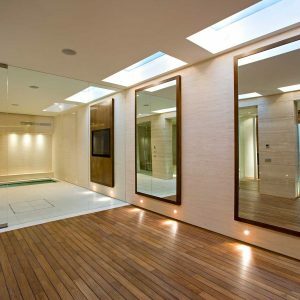 An unobtrusive frameless glass screen was created to retain the serene ambience of the spa, allowing maximum light without visually impacting on the space. Sandblasted glass doors to the sauna and steam room were etched to match the horizontal banding that features on the tiled walls of spa area. 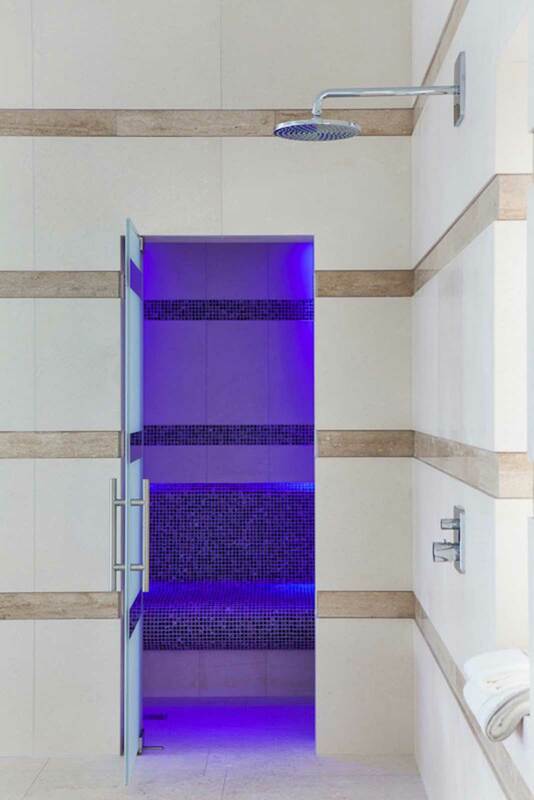 Ion met the challenge of ensuring the banding etched onto the glass lined up perfectly with the pattern on the wall tiles creating a unified feel to the room with stylish glass doors seamlessly integrated into the existing spa area. 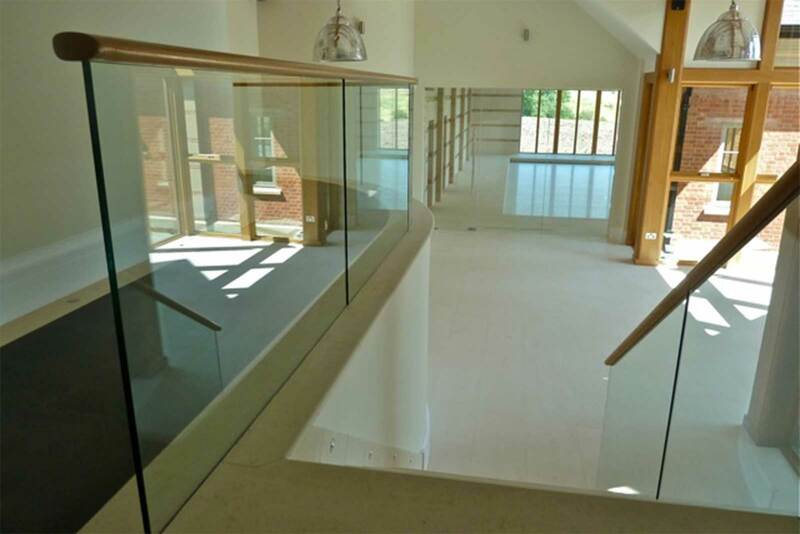 Elsewhere in the property, Ion fitted glass balustrades to the raised walkway connecting the garage to the main property. Architect Simon Janes described this particular installation as “intricate and challenging”, as it was constructed of glass, wood and limestone, each provided by three separate specialists. 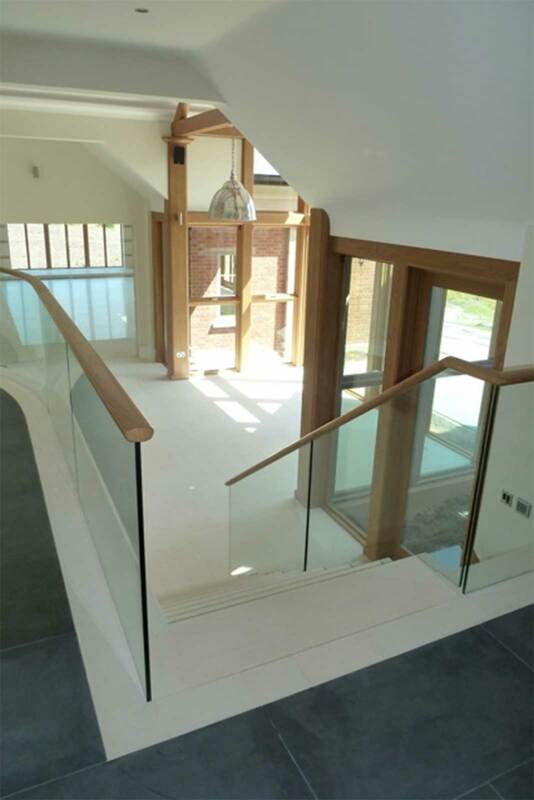 Ion Glass Ltd were responsible for the sweeping curved glass balustrades, working in conjunction with a joinery company who provided a wooden handrail for the walkway and a stonemason who manufactured and installed the limestone tiles for the flooring. 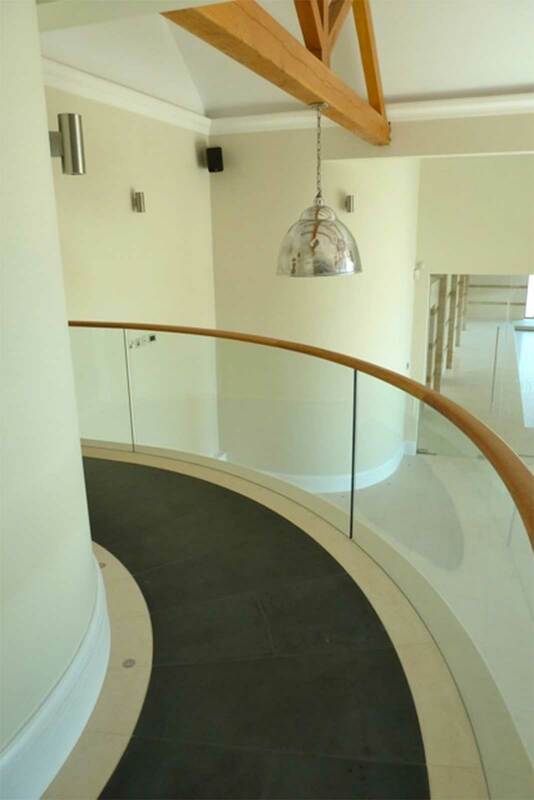 Glass balustrades were fitted to staircases within the property using purpose made continuous steel clamping plates to allow the glass balustrade fixtures to be concealed within the stone finishes, creating the illusion that the glass emerges directly from the marble base. A challenging brief, Ion Glass and Janes Architectural completed the project to the highest standard, with the owner of the property expressing his satisfaction and delight with the result.